​What about the Hijackers ? Still alive today? Find-out below! ​How do you have fires still burning above 800 °F five days after 9/11 ? Office furniture can at best burn for a day or until its 2 or 3 cm thick wood or plastic runs out (about 2 hours - think of a barbecue ) and would never generate temperatures over 800 °F (430 °c ) even if you stack them in one place. Notice how red hot is the foundation and how many red spots all around it. Here the thermal photo of 9/11 on the 16 & 23 September. 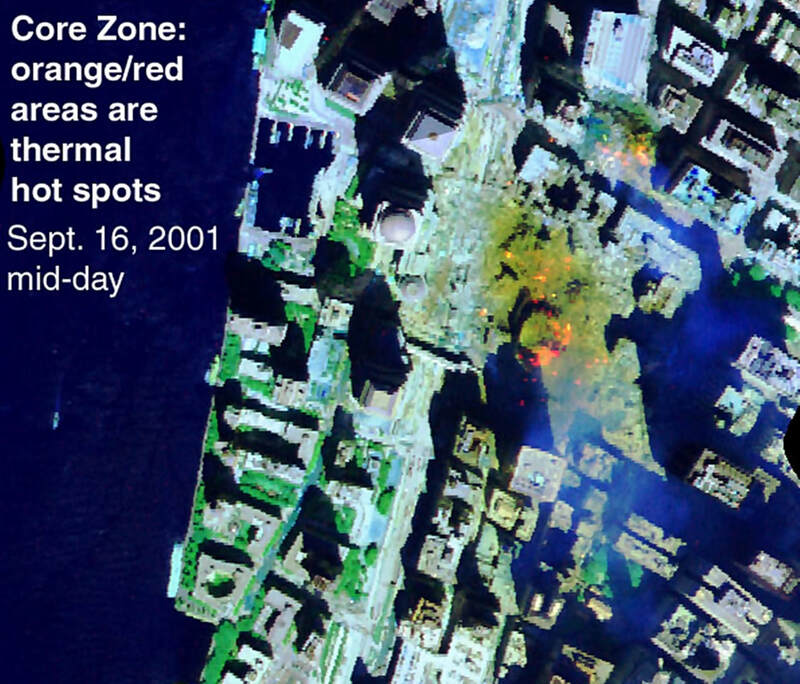 Results of Airborne Visible/Infrared Imaging Spectrometer (AVIRIS) remote sensing data and interpretations show the distribution and intensity of thermal hot spots in the area in and around the World Trade Center on September 16 and 23, 2001. 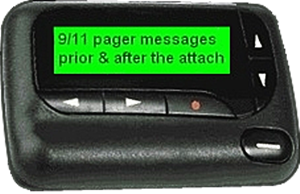 Data collected on the 16th were processed, interpreted and released to emergency response teams on the 18th of September, 2001. ​The September 23 data were processed, interpreted and the results released on October 12, 2001. The images of the World Trade Center site show significant thermal hot spots on Sept. 16, 2001. By Sept. 23, 2001, most of the hot spots had cooled or the fires had been put out. AVIRIS records the near-infrared signature of heat remotely. The accompanying maps are false color images that show the core affected area around the World Trade Center. Initial analysis of these data revealed a number of thermal hot spots on September 16 in the region where the buildings collapsed 5 days earlier. Analysis of the data indicates temperatures greater than 800°F. Over 3 dozen hot spots appear in the core zone. By September 23, only 4, or possibly 5, hot spots are apparent, with temperatures cooler than those on September 16.
the helicopter just reached the scene, pauses for a few seconds..then flies away moments before the collapse! did someone in the helicopter know it was about to collapse (demolished) ? from the corner that will first start collapsing (exploding out) soon . . . 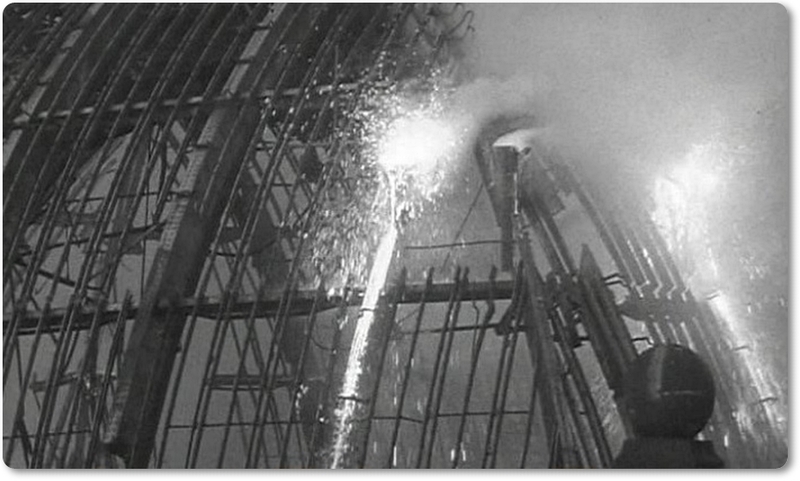 Molten steel begins to flow in exactly midpoint where the tower was reinforced by design and thermite was used to weaken it before the controlled demolition! 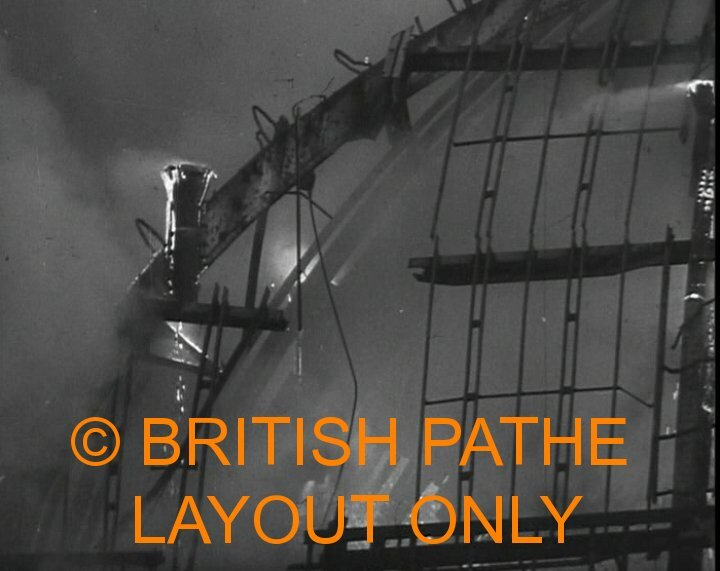 Notice the unusual fire in the corner of the building next to the molten steel..
What could be so flammable in that corner when it is all steel? 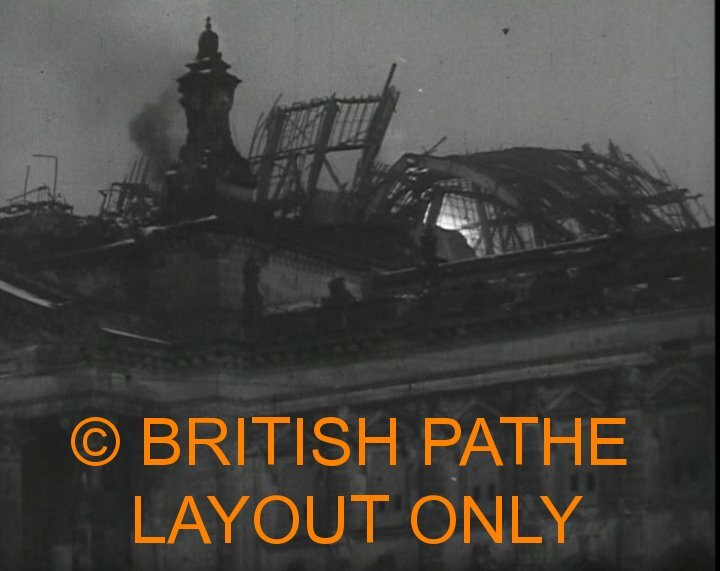 The planes hitting the buildings were just a cover for the smoke and squibs that would have been produced with the subsequent controlled demolition! 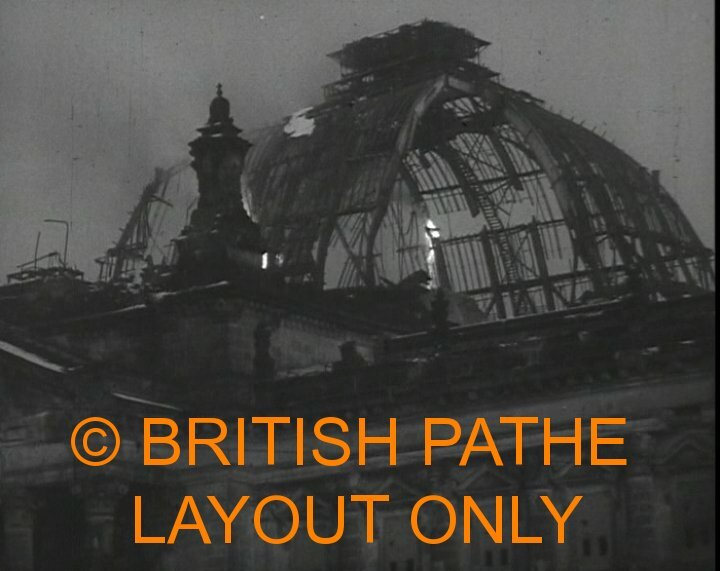 Thermite was used to bring down the steel roof of the Reichstag building Germany in 1954..similar lava spills as seen before the World Trade Center collapse other. The original video and the best! 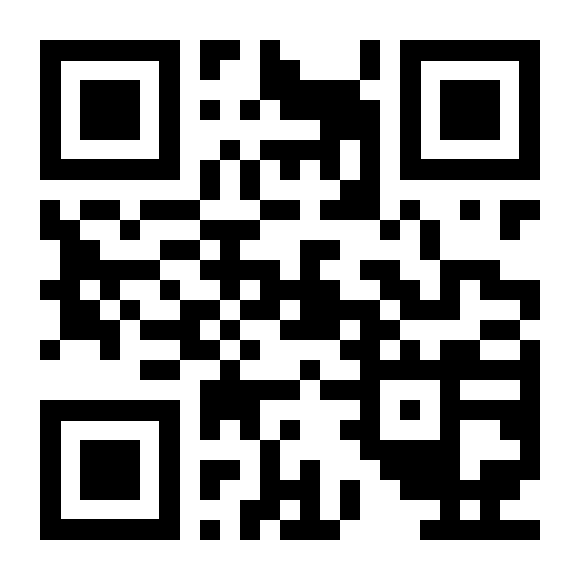 Drag the 3D image, point mouse where you want to zoom in with wheel and use the tools (click arrow) to rotate and reset. ..how strong were the twin towers? Former C.I.A worker - trucks during the night at the WTC..
By 7:00 AM September 12, 2001 hundreds of dump trucks of WTC 7 steel was taken away! No investigation..
​American Express Bank International (106,117 sq ft/9,900 m²), Standard Chartered Bank (111,398 sq ft/10,350 m²), and the Securities and Exchange Commission (106,117 sq ft/9,850 m²). In June 1986, before construction was completed, Silverstein signed Drexel Burnham Lambert as a tenant to lease the entire 7 World Trade Center building for $3 billion over a term of 30 years. In December 1986, after the Boesky insider-trading scandal, Drexel Burnham Lambert canceled the lease, leaving Silverstein to find other tenants. Spicer & Oppenheim agreed to lease 14 percent of the space, but for more than a year, as Black Monday and other factors adversely affected the Lower Manhattan real estate market, Silverstein was unable to find tenants for the remaining space. By April 1988, Silverstein had lowered the rent and made other concessions. In November 1988, Salomon Brothers withdrew from plans to build a large new complex at Columbus Circle in Midtown and agreed to a 20-year lease for the top 19 floors of 7 World Trade Center. The building was extensively renovated in 1989 to accommodate the needs of Salomon Brothers. This led to the alternative naming of the building as the Salomon Brothers building. Most of three existing floors were removed as tenants continued to occupy other floors, and more than 350 tons (U.S.) of steel were added to construct three double-height trading floors. Nine diesel generators were installed on the 5th floor as part of a backup power station. "Essentially, Salomon is constructing a building within a building – and it's an occupied building, which complicates the situation", said a district manager of Silverstein Properties. The unusual task was possible, said Larry Silverstein, because it was designed to allow for "entire portions of floors to be removed without affecting the building's structural integrity, on the assumption that someone might need double-height floors. At first Salomon Brothers were planing to built a hole Complex but after they settled for one floor of the World Trade Center 7 on the 19th floor ! Why? What kind of security Upgrade can cost over 8 millions between 1996 to 1998? Cameras, cables and monitors costed over 8 million dollars and took over 2 years to install? Both towers took about 3 years to construct ..! 2003 - Marvin P. Bush, a younger brother of George W. Bush, was a principal in a company that provided security at the World Trade Center, Washington D.C.'s Dulles International Airport and United Airlines between 1995 and 2001, Securacom now Stratesec. ​A company that provided security at the World Trade Center, Washington D.C.'s Dulles International Airport and United Airlines between 1995 and 2001 was backed by a private Kuwaiti-American investment firm whose records were not open to full public disclosure, with ties to the Bush family. Bush has not responded to repeated telephone and email requests for comment. According to its present CEO, Barry McDaniel, the company had an ongoing contract to handle security at the World Trade Center "up to the day the buildings fell down." Yet instead of being investigated, the company and companies involved with it have benefited from legislation pushed by the Bush White House and rubber-stamped by Congressional Republicans. Stratesec, its backer KuwAm, and their corporate officers stand to benefit from limitations on liability and national-security protections from investigation provided in bills since 9/11. HCC Insurance Holdings, Inc., a reinsurance corporation on whose board Marvin Bush sat as director until November 2002, similarly benefits from terrorism insurance protections. (Bush's first year on the board at HCC coincided with his last year on the board at Stratesec.) HCC, formerly Houston Casualty Company, carried some of the insurance for the World Trade Center. It posted a loss for the quarter after the attacks of Sept. 11 and dropped participation in worker's compensation as a result. Bush remains an adviser to the chairman and the Board of Directors, as well as a member of the company's investment committee. The former CEO of Stratesec is Wirt D. Walker III, who is still chairman of the board. Although he has also been the managing director of KuwAm for several years, Walker states definitively in phone interviews that there was no exchange of talent between Stratesec and KuwAm during the WTC and other projects. As Walker put it, "I'm an investment banker." He continued, "We just owned some stock." The investment company "was not involved in any way in the work or day-to-day operations" of the security company. He explained clearly and pleasantly that there was no sharing of information or of personnel between the two companies. In December 2000 when the presidential election was determined -- Stratesec added a Government Division, providing "the same full range of security systems services as the Commercial Division," in the company's words. Stratesec now has "an open-ended contract with the General Services Administration (GSA) and a Blanket Purchase Agreement (BPA) with the agency that allows the government to purchase materials and services from the Company without having to go through a full competition." The company lists as government clients "the US Army, US Navy, US Air force, and the Department of Justice," in projects that "often require state-of-the-art security solutions for classified or high-risk government sites." In 2000, the US Army accounted for 29% of the company's earned revenues, or about $6.9 million. The White House opposed an independent commission to investigate 9/11 until after the terrorism insurance protections and protections for security companies had safely passed Congress. It has also quietly intervened in lawsuits against United Airlines in New York, brought by relatives of the victims. Marvin Bush joined Securacom's Board of Directors in 1993, as part of new management hired when the company separated from engineering firm Burns and Roe. The new team was capitalized by KuwAm, the D.C.-based Kuwaiti-American investment company. Bush also served on the Board of Directors at KuwAm, along with Mishal Yousef Saud al-Sabah, Chairman of KuwAm and also a Director on Securacom's (Stratesec's) board. When, following the 1993 bombing of the World Trade Center, the Port Authority of New York and New Jersey began its multi-million-dollar, multiyear revamping of security in and around the Twin Towers and Buildings 4 and 5, Securacom was among numerous contractors hired in the upgrade. The companies doing security jobs received due mention in print, in security industry publications and elsewhere. The board membership of a son of former President Bush went unnoticed, at least in print. According to SEC filings, Securacom/Stratesec acquired the $8.3 million World Trade Center contract in October 1996. The project generated 28% of over-all revenues for the company in 1996, part of increased over-all revenues. SEC filings indicate that revenues from the World Trade Center project commenced in 1996 at $1.6 million, peaked in 1997 at $6.6 million ($4.1 million in the first half), and diminished in 1998 to less than $1 million. A key concept in security is "access control." In hindsight, as the security industry's reportage on the WTC precautions makes clear, further attacks would have to come from the air. Unfortunately, such detailed reports did not convey that message at home. Nobody thought outside the box enough to deduce that a jumbo jet could overcome even the extraordinary controls at the World Trade Center. With 20-20 hindsight, it is obvious that the intricate procedures in the building's lobbies and on its perimeters were like trying to stop a 767 with ID badges. Barry McDaniel, CEO of the company since January 2002, declines on security grounds to give specific details about work the company did at the World Trade Center. According to McDaniel, the contract was ongoing (a "completion contract"), and "not quite completed when the Center went down." The company designed a system, but as he points out -- obviously that "didn't have anything to do with planes flying into buildings." The key words "access control" are less feeble and irrelevant, however, in regard to airports and airlines. Had the hijackers failed on the ground, they would have lost their airborne weapon. Two of the hijacked planes were United Airlines flights, and one -- though not one of the United flights -- took off from Dulles Airport. McDaniel makes clear that Securacom's contract for UAL was a single-site contract, in Indianapolis (at least five years ago), and not local. The work done, finished several years before he joined the board, was not in or near D.C.
Dulles Airport, obviously, is another matter. Dulles is regarded as "absolutely a sensitive airport," according to security consultant Wayne Black, head of a Florida-based security firm, given its location, size, and the number of international carriers it serves. As Black points out, "when you [a company] have a security contract, you know the inner workings of everything." And if another company is linked with the security company, then "What's on your computer is on their computer." In this context, retired FAA special agent Brian F. Sullivan is angry, and eloquent. "You can have all the security systems in the world, but the people behind the systems make the difference." The Bush administration, says Sullivan, "spit in the faces" of the victims' families, in pushing for last-minute protections for foreign-owned security companies (in the Homeland Security bill). Sullivan points out that "not one single person" in an upper-level position has lost a job as a result of 9/11, "not in the FBI, CIA, FAA, DOT." As he sums up, "No accountability, no progress." Like other specialists, Professor Dale B. Oderman, in the Aviation Technology Department at Purdue, concurs that Dulles "was considered a very high profile target" as the primary international airport near the nation's capital. It serves as port of entry to about 15 international airlines as well as serving eight of the 11 major US passenger carriers. In comparison, Reagan Airport hosts only Air Canada from outside the US, and Baltimore-Washington Airport hosts about a half dozen." Stratesec did not handle screening of passengers at Dulles. According to a contracting official for the Metropolitan Washington Airport Authority, its three-year contract was for maintenance of security systems: It maintained the airfield access system, the CCTV (closed circuit television) system, and the electronic badging system. In 1997, the World Trade Center and Dulles accounted for 55% and 20% of the company's earned revenues, respectively. The WTC and Dulles projects figured largely in both Securacom's growing revenues from 1995 to 1997 and its decreases from 1997 to 1998. Stratesec continued to refer to "New York City's World Trade Center" as a former client through April 2001. It listed Dulles Airport and United Airlines as former clients through April 2002. As with the World Trade Center which also had electronic badging, security gates, and CCTV -- the ultimate problem with Dulles' security controls was not the controls themselves, but that they could be sidestepped. All the hijackers had to do was buy a ticket. As former FAA special agent Sullivan comments, "If they [attackers] knew about the security system, they knew how to bypass it." One obvious question for investigators is how much potential hijackers could have known about the security system. From 1993 to 1999, KuwAm the Kuwait-American Corporation -- held a large and often controlling interest in Securacom. In 1996, KuwAm Corporation owned 90% of the company, either directly or through partnerships like one called Special Situations Investment Holdings and another called "Fifth Floor Company for General Trading and Contracting." KuwAm owned 31% of Securacom in 1998 and 47% of Stratesec in 1999. It currently holds only about 205,000 shares of Stratesec; Walker, KuwAm's managing director, holds 650,000. Stratesec and KuwAm were and still are intertwined at the top. Walker, while a principal at Stratesec (a director since 1987, chairman of the board since 1992, and formerly CEO since 1999), was also on the board of directors at KuwAm and is still managing director (both since 1982). Mishal Yousef Saud Al Sabah, the chairman at KuwAm, also served on Stratesec's board from 1991 to 2001. Walker and Al Sabah had major stock holdings in each other's companies. Their sons also held shares in both companies. Stratesec, which currently lists 45 employees, hired KuwAm for corporate secretarial services in 2002, at $2,500 per month. For several years, Walker has also been chairman and CEO of an aircraft company, Aviation General, about 70% owned by KuwAm. Incidentally, Riggs Bank where the Saudi Princess Al-Faisal had her checking account also has a large office in the Watergate. Given that Jonathan Bush, the president's uncle, is a Riggs executive, it is difficult to understand any obstacle for US authorities pursuing the recently reported "Saudi money trail." The princess's charitable activities were processed through Riggs, but attention focused on the Saudis seems not to extend to the US bank they used. McDaniel was asked in a brief telephone interview whether FBI or other agents have questioned him or others at Stratesec about the company's security work in connection with 9/11. The concise answer: "No." Asked the same question regarding KuwAm, Walker declines to comment further, and refers to the public record. According to a spokesman in an FBI regional office, by October 2001, "the investigation of 9/11 is being coordinated at the national level directly from the White House." If so, you'd think that an administration that could seriously consider infiltrating American mosques would ask a few questions closer to home. But the suggestion is inescapable that any investigation into security arrangements preceding 9/11, at some of the nation's most sensitive facilities, has been impeded to this day by narrowly political concerns in the White House. "Mayberry Machiavellis" strike again: Rather than face possible embarrassment at disclosing Bush family interests in the security industry, Team Bush has stonewalled any concession to the public interest, statesmanship or even common sense. Every public statement from the White House seems designed to direct public attention toward Middle Easterners and away from Americans doing business with them at least if their name is Bush. From a purely business or political perspective, stonewalling might be understandable. But from the perspective of the victims' families or of the public, it looks odd. This is the White House we're talking about. In all the public expressions of sorrow or pity for the victims, it would have been natural, surely, for the president to say something along the lines of "Why, my own brother was part of that business. He and all of us are heartbroken" etc etc. But such comment has not been forthcoming. He might even have said, "My own relatives, if they had any transactions that might have any connection at all with the individuals involved, will turn over every record" etc. But that statement has also not been uttered. Elevator mechanics left the building ! On Sept. 11, ACE Elevator of Palisades Park, N.J., had 80 elevator mechanics inside the World Trade Center. Following the Port Authority's emergency plan, after the first jet hit the north tower, elevator mechanics from both towers reported to the fire safety desk in the south tower lobby for instructions from police or firefighters. 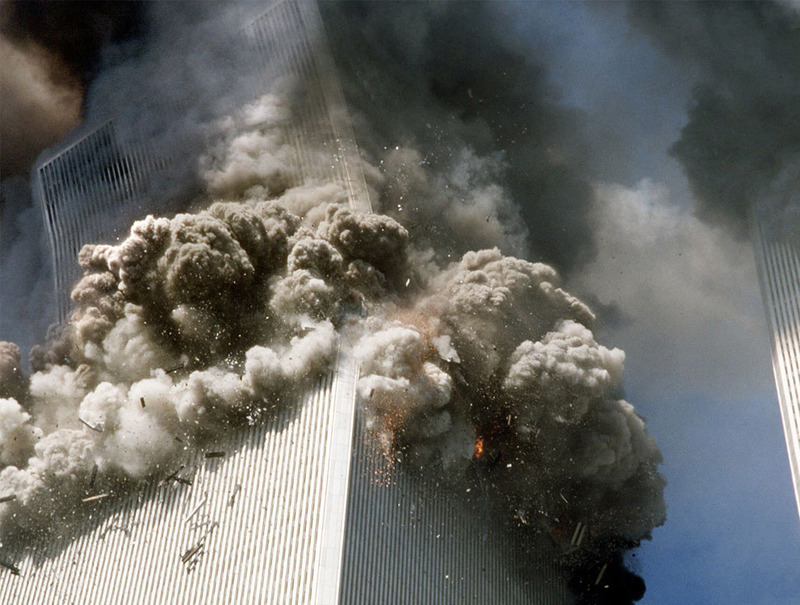 About 60 mechanics had arrived in the south tower lobby and others were in radio contact when the second jet struck that building. "We were standing there trying to count heads when the second plane hit (the south tower)," said Peter Niederau, ACE Elevator's supervisor of the modernization project. "Parts of the lobby and glass were coming down around us, so we all got out of the lobby as fast as we could." They left in different directions. Some went through the underground shopping mall. Others went out onto Liberty Street. Had they stayed, they would have been about 30 yards from the two express elevators where firefighters tried unsuccessfully to save people. Another mechanic was in the north tower's 78th floor elevator lobby — where Savas and other people were trapped — when the first jet hit. The mechanic was knocked across the lobby, then evacuated safely, the ACE Elevator supervisors say. "(We) went out to the street to assess the damage and come back in as needed," says James O'Neill, ACE Elevator's supervisor of maintenance. The plan was to return to the building later in the day to help with rescues. The strategy had worked after the 1993 terrorist bombing, when many of the same mechanics — working for Otis Elevator, which had the contract then — were hailed as heroes. On Sept. 11, the mechanics left on their own, without instructions from police or fire officials. ACE Elevator supervisors say this was consistent with the emergency plan. All the mechanics survived. "We had a procedure. We had a procedure to follow, and they (the mechanics) followed it," Niederau says. But the Port Authority says the emergency plan called for mechanics to stay and help with rescues. "The manuals consider many emergency scenarios and describe the role of the mechanics in detail in responding to them," Port Authority spokesman Allen Morrison says. 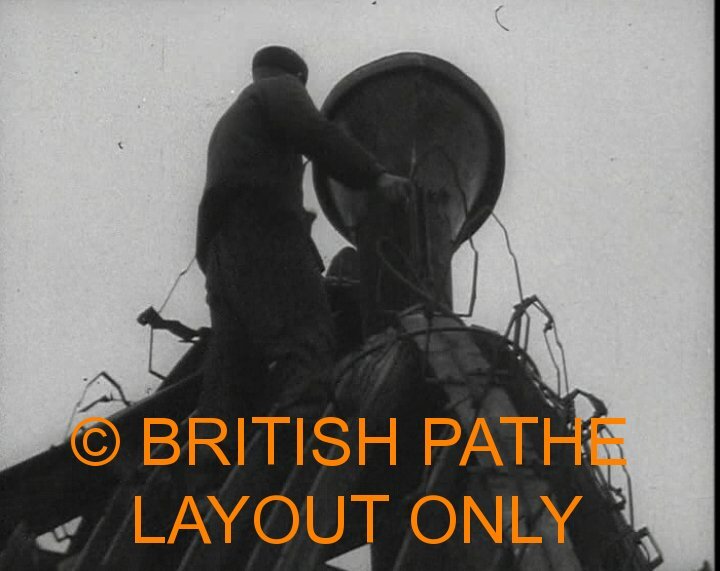 "There was no situation in which the mechanics were advised or instructed to leave on their own. They were, depending on the situation, to be dispatched to various emergency posts or to respond to various passenger entrapments and to assist police, fire and other rescue personnel." About 9:45 a.m., from the south tower lobby, Port Authority elevator manager Joseph Amatuccio radioed the ACE Elevator supervisors on their private radio channel. O'Neill recalls him asking: "Can you mobilize to come inside and see what's going on? Because I'm here with the fire department, and they're asking me questions I don't know." O'Neill radioed John Menville, an ACE Elevator supervisor trained in rescues, and both tried to get back in the building. The supervisors had special ID badges with red stripes that allowed them behind police lines. The badges had been issued after the 1993 bombing. As Menville approached, the south tower collapsed. Amatuccio and his colleagues were killed. Bobbitt and other firefighters began evacuating the soon-to-collapse north tower. no mention of the ACE Elevator of Palisades Park, N.J. (above) in the report! the site cannot be searched using their search field! Elevator World documented the largest elevator modernization in history in their March 2001 edition. 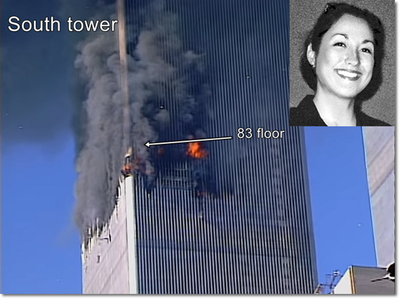 The elevator modernization was done by ACE Elevator in the WTC Twin Towers during the 9 month period prior to 9/11 and should have been investigated by the FBI. 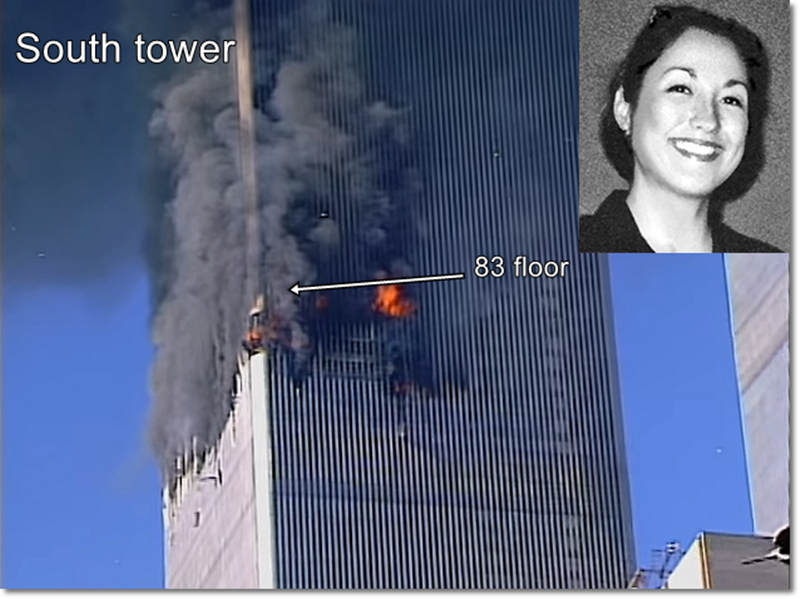 This is the last call of Doi Melissa that worked for IQ Financial Systems, Chuo Mitsui Trust & Banking on the 83 floor, just above were the plane hit ! 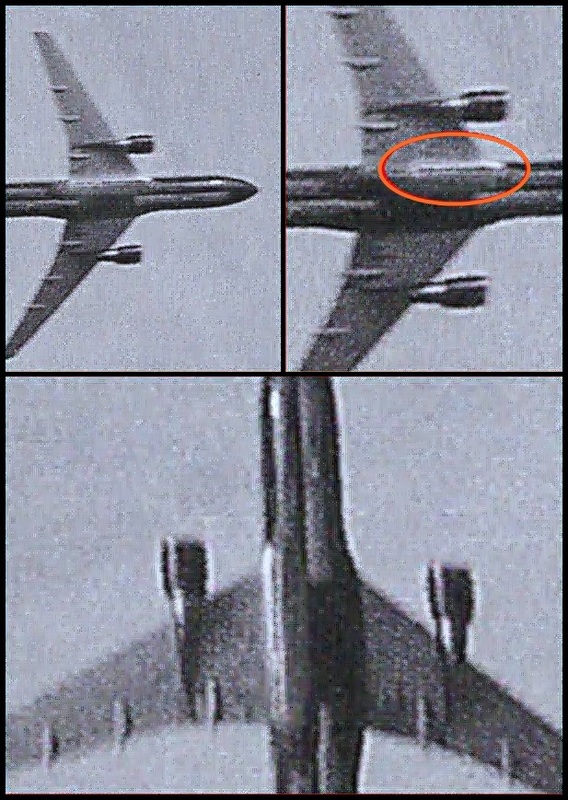 On December 10, 2006, Field McConnell reported the illegal modification on Boeing aircraft to the Federal Aviation Administration (FAA), Northwest Airlines, Federal Bureau of Investigation (FBI), NORAD and the USNA Superintendent. Shortly thereafter, Northwest Airlines, compelled by the United States Department of Justice (USDoJ), silenced Field McConnell, due to his inadvertent reopening of a safety issue closed in the June, 2006 settlement of a $615 million settlement paid by Boeing to the United States Department of Justice (USDOJ). 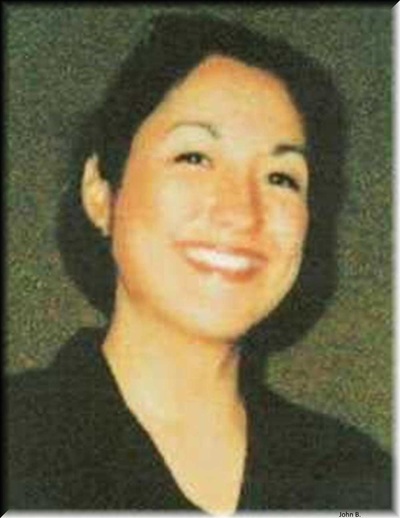 Field McConnell filed Civil Case 3:07-cv-24 at the District Court, District of North Dakota on the 27th of February, 2007. The case is titled 'FIELD MCCONNELL v. ALPA and BOEING'. Boeing admitted on March 3, 2007 the existence of the Boeing Uninterruptible Autopilot. To date, 9 February, 2012, Airline Pilots Association (ALPA) has suppressed this information. The most pessimistic theory, or the closest we can think up, is that this is all part of a greater script in which certain truths about 9/11 will be revealed and then quickly a massive event will so engulf the world in chaos that it will be wiped down the memory hole, much like Donald Rumsfeld announcing that $2.3trillion was missing from the US Department of Defense on September 10th, 2001. MOSCOW — Vladimir Putin shared top secret Russian satellite photographs showing 9/11 was in fact an inside job. The startling photographs show explosives being loaded into passenger planes at Langley Field and tracks them as they travel to Pennsylvania, New York City, and Washington DC. 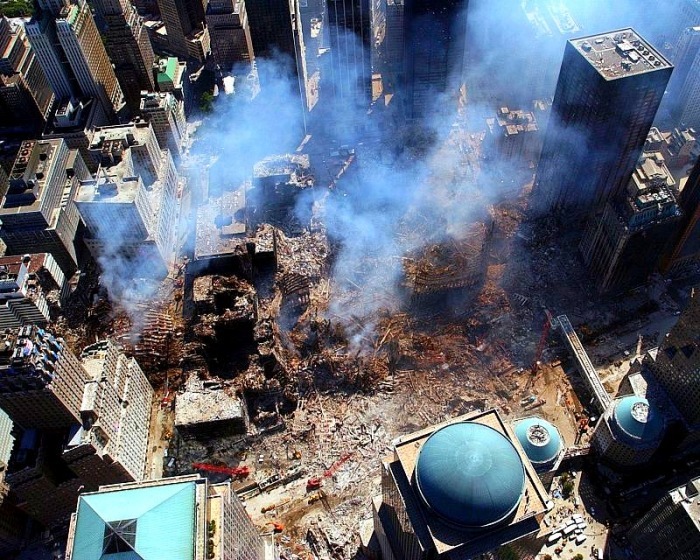 Traces of nano-thermite, which is capable of melting the tremendous steel beams of the World Trade Center, were sampled and confirmed by Russian intelligence through moles working at Ground Zero. 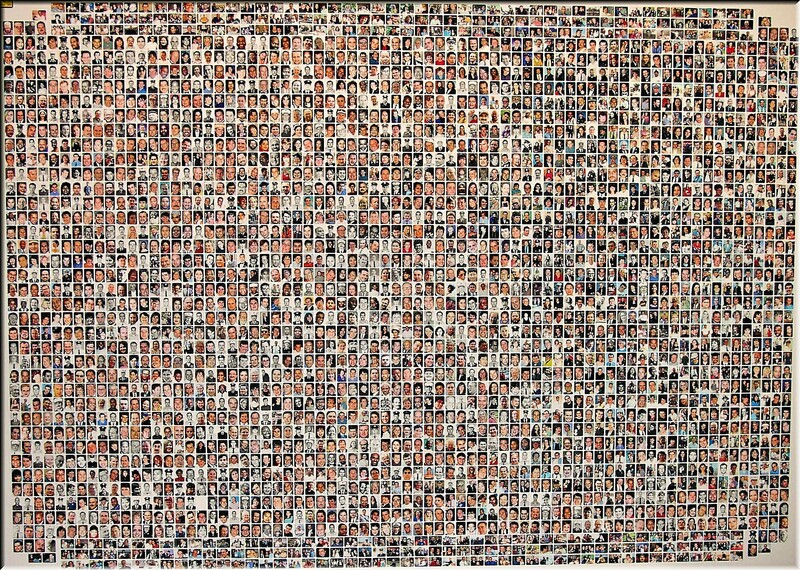 The 9/11 Memorial Museum at Ground Zero opened for tourists in May last year and features the official narrative of the terror attack. Thousands of children are indoctrinated by the museum each day, taught a version of events that conflict with the best available evidence and the proof leaked by Vladimir Putin. 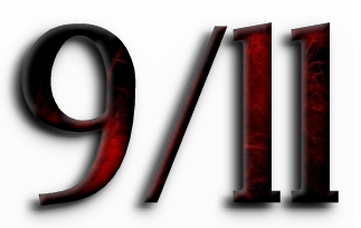 9/11 conspiracy theories attribute the planning and execution of the September 11 attacks to parties other than, or in addition to, al-Qaeda or claim there was advance knowledge of the attacks among high-level government officials. Government investigations and independent scientific reviews have found no evidence for the theories. Proponents of these conspiracy theories claim there are inconsistencies in the official conclusions, or evidence which was either ignored or overlooked. The most prominent conspiracy theory is that the collapse of the Twin Towers and 7 World Trade Center were the result of a controlled demolition rather than structural failure due to impact and fire. Another prominent belief is that the Pentagon was hit by a missile launched by elements from inside the U.S. government or that a commercial airliner was allowed to do so via an effective stand-down of the American military. Possible motives claimed by conspiracy theorists for such actions include justifying the invasions of Afghanistan and Iraq as well as geostrategic interests in the Middle East, such as pipeline plans launched in the early 1990s by Unocal and other oil companies. Other conspiracy theories revolve around authorities having advance knowledge of the attacks and deliberately ignoring or assisting the attackers. ​360° view of the World trade center, NYC. 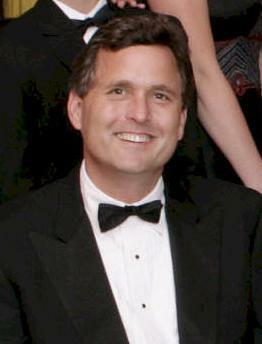 J. Michael Springman, formerly chief of the visa section at the U.S. Consulate in Jeddah, Saudi Arabia, has testified that he rejected hundreds of suspicious visa applications by Saudi Arabia men similar to those named as the 9/11 Hijackers when he was head of the consular section of the US embassy in Jeddah, but C.I.A. officers repeatedly overruled him and ordered the visas to be issued. It has been claimed that action or inaction by U.S. officials with foreknowledge was intended to ensure that the attacks took place successfully. For example, Michael Meacher, former British environment minister and member of Tony Blair's Cabinet said that the United States knowingly failed to prevent the attacks. On the days leading up to 9/11, two airlines saw a rise in their put to call ratio. These two airlines were United Airlines and American Airlines, the two airlines whose planes were hijacked on 9/11. Between September 6 and 7, the Chicago Board Options Exchange saw purchases of 4,744 "put" option contracts in UAL versus 396 call options. On September 10, more trading in Chicago saw the purchase of 4,516 put options in American Airlines, the other airline involved in the hijackings. This compares with a mere 748 call options in American purchased that day. No other airline companies saw anomalies in their put to call ratio in the days leading up to the attacks. American Airlines however, had just released a major warning about possible losses. Insurance companies saw anomalous trading activities as well. Citigroup Inc., which has estimated that its Travelers Insurance unit may pay $500 million in claims from the World Trade Center attack, had about 45 times the normal volume during three trading days before the attack for options that profit if the stock falls below $40. Citigroup shares fell $1.25 in late trading to $38.09. Morgan Stanley, which occupied 22 floors at the World Trade Center, experienced bigger-than-normal pre-attack trading of options that profit when stock prices fall. Other companies that were directly affected by the tragedy had similar jumps. Raytheon, a defense contractor, had an anomalously high number of call options trading on September 10. A Raytheon option that makes money if shares are more than $25 each had 232 options contracts traded on the day before the attacks, almost six times the total number of trades that had occurred before that day. A common claim among conspiracy theorists is that the North American Aerospace Defense Command (NORAD) issued a stand down order or deliberately scrambled fighters late to allow the hijacked airplanes to reach their targets without interference. According to this theory, NORAD had the capability of locating and intercepting planes on 9/11, and its failure to do so indicates a government conspiracy to allow the attacks to occur. The Web site emperors-clothes.com argues that the U.S. military failed to do their job. StandDown.net's Mark R. Elsis says, "There is only one explanation for this ... Our Air Force was ordered to Stand Down on 9/11." In September 2001, NORAD generals said they learned of the hijackings in time to scramble fighter jets. Later, the U.S. government released tapes claiming to show the Federal Aviation Agency (FAA) did not tell the military about the hijackings until three of the four planes had crashed, a fact that would indicate that the FAA repeatedly lied to other U.S. government agencies. Phil Molé of Skeptic magazine has explained that it is neither quick nor easy to locate and intercept a plane behaving erratically, and that the hijackers turned off or disabled the onboard radar transponders. Without these transponder signals to identify the airplanes, the hijacked airplanes would have been only blips among 4,500 other blips on NORAD’s radar screens, making them very difficult to track. 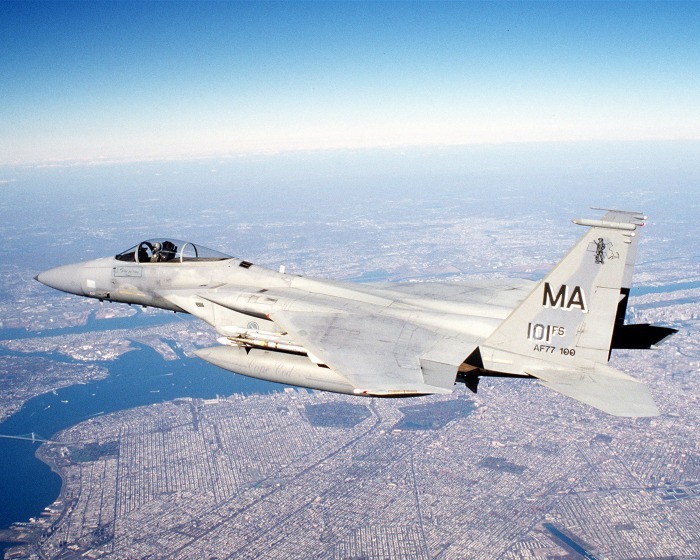 According to Popular Mechanics, only 14 fighter jets were on alert in the contiguous 48 states on 9/11. There was no automated method for the civilian air traffic controllers to alert NORAD. A passenger airline had not been hijacked in the U.S. since 1979. "They had to pick up the phone and literally dial us," says Maj. Douglas Martin, public affairs officer for NORAD. According to Popular Mechanics, only one civilian plane was intercepted in the decade prior to 9/11, which took one hour and 22 minutes. According to The Eleventh Day: The Full Story of 9/11 and Osama bin Laden, a book about the attacks published in 2011, the longest warning NORAD received of the hijackings was some eight minutes for American Airlines Flight 11, the first flight hijacked. The FAA alerted NORAD to the hijacked Flight 175 at just about the same time it was crashing into the World Trade Center's South Tower. The FAA notified NORAD of the missing – not hijacked – Flight 77 three minutes before it struck the Pentagon. NORAD received no warning of the hijack of United Flight 93 until three minutes after it had crashed in Pennsylvania. It has been claimed that Israeli agents may have had foreknowledge of the attacks. Four hours after the attack, the FBI arrested five Israelis who had been filming the smoking skyline from the roof of a white van in the parking lot of an apartment building, for "puzzling behavior". The Israelis were videotaping the events, and one bystander said they acted in a suspicious manner: "They were like happy, you know ... They didn't look shocked to me. I thought it was very strange." While The Forward, a New York Jewish news magazine, reported that the FBI concluded that two of the men were Israeli intelligence operatives, a spokesperson for the Israeli Embassy in the United States said that they had not been involved in any intelligence operation in the United States. The FBI eventually concluded that the five Israelis had no foreknowledge of the attacks. Where are the plane's parts? The first elaborated theories appeared in Europe. One week after the attacks, the "inside job" theory was the subject of a thesis by a researcher from the French National Centre for Scientific Research published in Le Monde. Other theories sprang from the far corners of the globe within weeks. Six months after the attacks, Thierry Meyssan's 9/11 exposé L'Effroyable Imposture topped the French bestseller list. Its publication in English (as 9/11: The Big Lie) received little attention, but it remains one of the principal sources for "trutherism". 2003 saw the publication of The CIA and September 11 by former German state minister Andreas von Bülow and Operation 9/11 by the German journalist Gerhard Wisnewski; both books are published by Mathias Bröckers, who was at the time an editor at the German newspaper Die Tageszeitung. While these theories were popular in Europe, they were treated by the U.S. media with either bafflement or amusement, and they were dismissed by the U.S. government as the product of anti-Americanism. 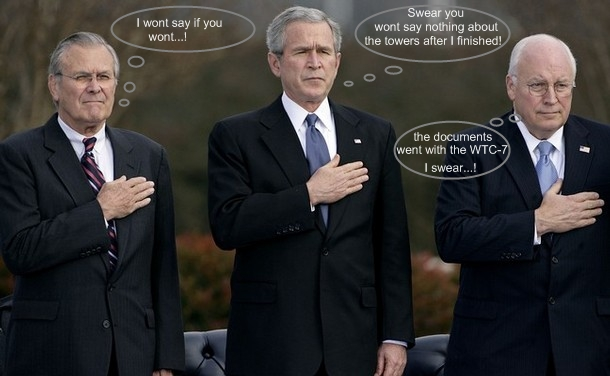 In an address to the United Nations on November 10, 2001, United States President George W. Bush denounced the emergence of "outrageous conspiracy theories that attempt to shift the blame away from the terrorists, themselves, away from the guilty." By 2004, conspiracy theories about the September 11 attacks began to gain ground in the United States. One explanation is that the rise in popularity stemmed more from growing criticism of the Iraq War and the newly re-elected President George W. Bush than from any discovery of new or more compelling evidence or an improvement in the technical quality of the presentation of the theories. Knight Ridder news theorized that revelations that weapons of mass destruction did not exist in Iraq, the belated release of the President's Daily Brief of August 6, 2001, and reports that NORAD had lied to the 9/11 Commission, may have fueled the conspiracy theories. Between 2004 and the fifth anniversary of the September 11 attacks in 2006, mainstream coverage of the conspiracy theories increased.The U.S. government issued a formal analysis by the National Institute of Standards and Technology (NIST) of the collapse of the World Trade Center. To address the growing publicity of the theories, the State Department revised a webpage in 2006 to debunk them. A 2006 national security strategy paper declared that terrorism springs from "subcultures of conspiracy and misinformation," and that "terrorists recruit more effectively from populations whose information about the world is contaminated by falsehoods and corrupted by conspiracy theories. The distortions keep alive grievances and filter out facts that would challenge popular prejudices and self-serving propaganda." Al-Qaeda has repeatedly claimed responsibility for the attacks, with chief deputy Ayman al-Zawahiri accusing Shia Iran and Hezbollah of denigrating Sunni successes in hurting America by intentionally starting rumors that Israel carried out the attacks. Some of the conspiracy theories about the September 11 attacks do not involve representational strategies typical of many conspiracy theories that establish a clear dichotomy between good and evil, or guilty and innocent; instead, they call up gradations of negligence and complicity. Matthias Bröckers, an early proponent of such theories, dismisses the official account of the September 11 attacks as being itself a conspiracy theory that seeks "to reduce complexity, disentangle what is confusing," and "explain the inexplicable". 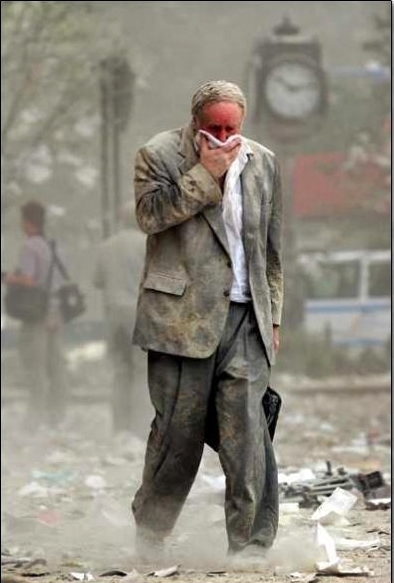 Just before the fifth anniversary of the attacks, mainstream news outlets released a flurry of articles on the growth of 9/11 conspiracy theories, with an article in Time stating that "this is not a fringe phenomenon. It is a mainstream political reality." Several surveys have included questions about beliefs related to the September 11 attacks. An August 2007 Zogby poll commissioned by 911Truth.org found that 63.6% of Americans believe that Arab fundamentalists were responsible for 9/11 while 26.4% believed that "certain elements in the U.S. government knew the attacks were coming but consciously let them proceed for various political, military and economic reasons" and 4.8% believe that "certain U.S. Government elements actively planned or assisted some aspects of the attacks". In 2008, 9/11 conspiracy theories topped a "greatest conspiracy theory” list compiled by The Daily Telegraph. The list was ranked by following and traction. 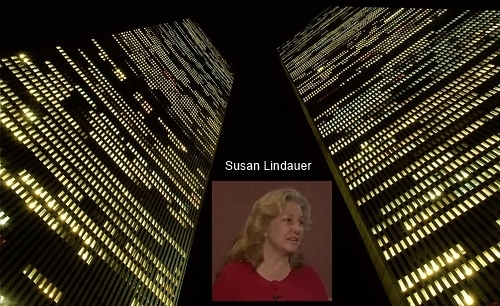 A study conducted by journalist Elizabeth Woodworth for the Center for Research on Globalization concludes that the increased presence in mainstream media reflected an improved professional approach within the 9/11 Truth movement. In 2010, the "International Center for 9/11 Studies," a private organization that is said to be sympathetic to conspiracy theories, successfully sued for the release of videos collected by NIST of the attacks and aftermath. According to the German daily Frankfurter Allgemeine Zeitung, the videos which were published shortly before the ninth anniversary of the attacks provide "new food for conspiracy theorists." 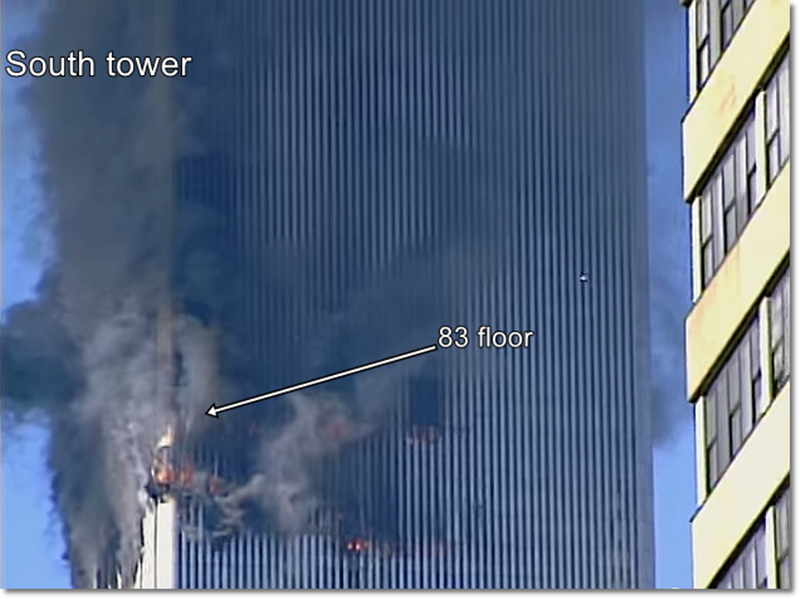 Many of the videos show images of 7 World Trade Center, a skyscraper in the vicinity of the WTC towers that also collapsed on September 11, 2001. Eyewitnesses have repeatedly reported explosions happening before the collapse of both of the towers, while experts consider these theories to be unreasonable. Since Bush left office, the overall number of believers in 9/11 conspiracy theories has dipped while the number of people who believe in the most "radical" theories has held fairly steady. How can the landing gear land so far from the impact point? 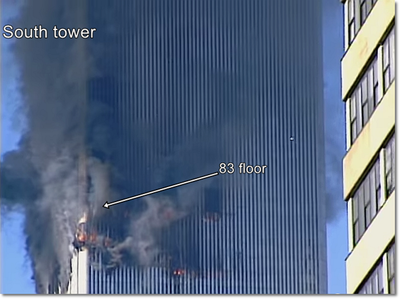 Only an explosion inside the WTC-2 could have forced it this far! Click on main picture to enlarge!